With more than 270 votes in the electoral college, despite losing the popular vote for Hillary Clinton, Donald Trump is the winner of the 2016 USA Presidential elections. The Republican candidate, known for his controversies over gender issues and his conservative, populist, racist and anti-immigration speech, is the new inhabitant of the White House. The debate did not wait: will the echoes of Trump’s victory reach Europe for the 2017 elections? Some European countries will hold election and right-wing parties have been hailing Clinton’s defeat and hoping for the return of the nationalist spirit. With the repetition of the presidential elections scheduled for December 4 2016, Austria has been witnessing its right-wing party – the Freiheitliche Partei Österreichs (FPÖ) – gaining more and more popularity in the polls. This has been the case especially after its candidate, Norbert Hofer, won the first round with 35.1% of the votes, followed by Alexander van der Bellen of the progressive party Die Grüne Alternative, with only 21.3% of the votes. The second round of the presidential election was scheduled after irregularities were detected on May 22 2016, whose initial winner had been Alexander van der Bellen, with 50.30% of the votes. The Netherlands holds the honors for a complicated year of elections in Europe. On March 15 2017, the Dutch will elect all 150 members of the House of Representatives. The leader of the right-wing party Partij voor de Vrijheid (PVV), Geert Wilders, has been controversial in his statements, promising that “mosques, Islamic schools, and asylum centres will be closed; borders will be shut down with a blanket ban on migrants from Islamic countries; women will be forbidden from wearing a headscarf in public; and the Koran will be banned.” Nonetheless, according to the London School of Economics European Institute, the anti-Islam and anti-EU PVV “has topped some recent polls”. 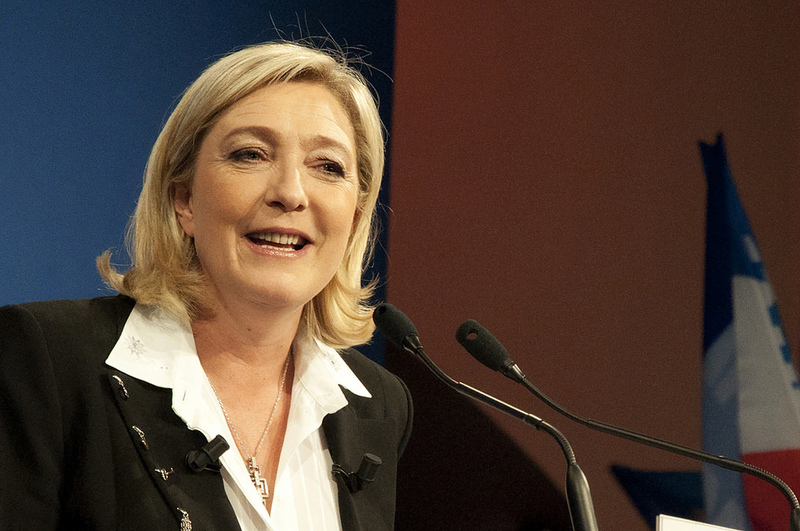 Currently, Marine Le Pen is a name that frightens mostly European Union representatives. The leader of the far-right party Front National (FN) is given as one of the winners of the first round of presidential elections on April 23 2017. According to some polls, Le Pen will dispute the second round with Nicolas Sarkozy or Alain Juppé. In 2012, the FN candidate won 17.9% of votes in the first round of the presidential election that made François Hollande winner. Also in the regional elections in 2015, Marine Le Pen led the first round, with about 28% of the votes – corresponding to 6 out of 13 mainland French regions. However, in the run-off round, the candidate lost everything. In fact, the FN has always been defeated in the second round of presidential elections due to the “cordon sanitaire.” An example is the 2002 presidential elections between Jean-Marie Le Pen and Jacques Chirac, when the left voted for Chirac in the second round. If Marine Le Pen goes to a second round with Sarkozi, will the right-wing electorate obey the cordon sanitaire and vote for the former French President? If this does not happen, the Trump effect may be evident. Without knowing if Angela Merkel will run again for Chancellor, Germany will face the far-right as a real candidate on August 27 2017. The Alternative für Deutschland (AfD) party has been gaining more and more supporters, especially after criticisms concerning the number of refugees hosted by Germany in 2015 made Merkel an unpopular Chancellor. The AfD – which uses a populist anti-immigration discourse and promises to ban minarets and burqa – is “represented in ten of Germany’s 16 regional parliaments and polling at up to 15% nationally.” The party had already obtained, in 2015, 21.9% of the votes in the north-eastern state elections in Mecklenburg-West Pomerania. ← A Olhar para o Lado Errado: em que Difere o Discurso de Trump?